Catholic Charities in Terre Haute is an agency that offers compassionate and caring assistance to needy neighbors in the Wabash Valley. It offers various services to help alleviate some of the hardships of our less fortunate brothers and sisters. It is a direct services agency to serve the poor, the homeless, the elderly, the neglected children and the needy. Are you already a volunteer for Catholic Charities? Did you know you are eligible to be a Trauma Informed Mentor for youth between the ages of 9 - 17? 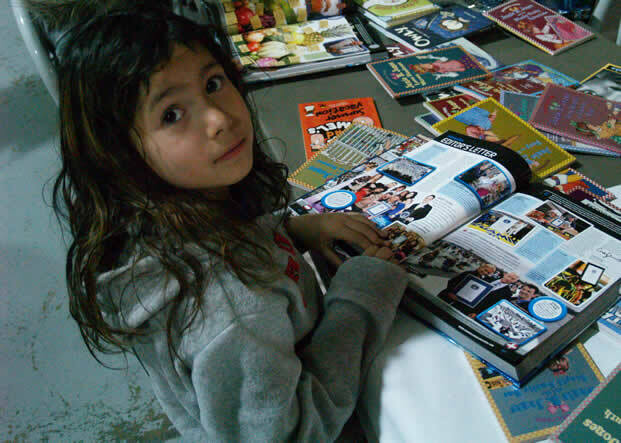 Click here for more information about the TIME for ME mentoring program. 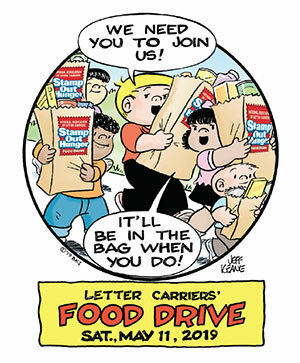 Fill a bag with non-perishable food and leave it by your mailbox by 9:00am on Saturday, May 11. Your letter carrier and Terre Haute Catholic Charities Foodbank will make sure it gets to people in need in our communities. Terre Haute Catholic Charities Foodbank provides the equivalent of 2.5 million meals each year to 32,000 people who are hungry in west central Indiana. But, more food is needed to feed the more than 39,000 people who don't get enough nutritious food to live a healthy lifestyle. You can help. Click here to learn more about the Closing the Meal Gap Campaign. Thank you to everyone who contributed to the Closing the Meal Gap Campaign. 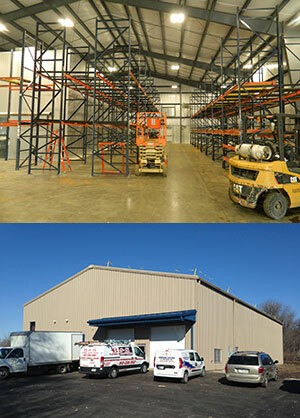 We are happy to announce that the new Foodbank warehouse and distribution facility is nearing completion. Please join us as we celebrate with an Open House, Ribbon Cutting and Blessing by The Most Reverend Charles C. Thompson, Archbishop of Indianapolis, from 5-7pm on April 29. Tour of the facility will be available. Please wear closed-toe, flat shoes to tour the warehouse. Shuttle Service will be available from the parking lot north of Bethany House at 14th & Locust Streets. Or click here to make an online donation. Terre Haute Catholic Charities Foodbank operates as a warehouse and distribution center working with 90 member agencies and 11 mobile pantries each month. These agencies provide food directly to individuals and families in need. To find a pantry or serving site near you, check our calendar of local Food Pantries and Mobile Pantry sites, contact Lifeline by dialing 2-1-1, or search the online searchable directory created by Indiana's Emergency Food Resource Network in partnership with Purdue University. 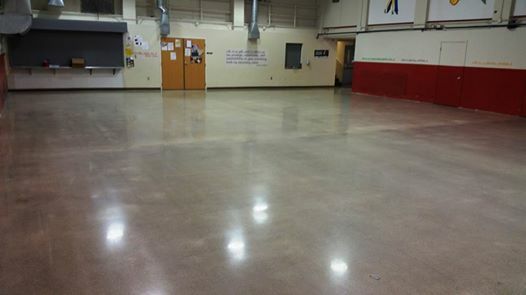 The Wabash Valley Community Foundation and Catholic Community Foundation both provided funding to clean, level, seal, and protect the floor in the basement dining room of Ryves Youth Center to help ensure both the safety of the youth clients and their families, but also to help maintain the use, function, and appearance of the flooring. This type of flooring is used in heavily-trafficked retail outlets and facilities such as Holy Family Shelter in Indianapolis. This flooring system has been proven to hold up over time and to reduce the long-term maintenance cost and program downtime. This reduced program downtime allows us to provide uninterrupted services such as evening meals for the youth participating in our Ryves Youth Center programs. Many thanks to both foundations for helping us create an inviting, safe, and better functioning dining room! Terre Haute Catholic Charities Foodbank works with 92 member agencies in Clay, Greene, Knox, Parke, Sullivan, Vermillion, and Vigo counties to supply them with the food they need to provide help to thousands of individuals throughout the year. Check out the video below to see how, with the support of the Foodbank, Parke County Emergency Food Pantry is able to provide more food to serve people in need in their community. What's happening at Catholic Charities?